June 2013 – Jacobs and Company B.I.T.S. 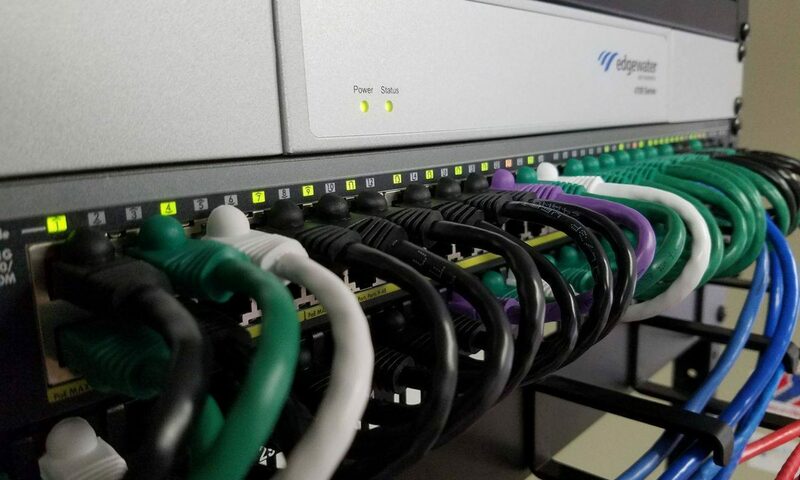 Connecting to your company’s network can be, at times, a frustrating task. The tried and true VPN client can be a haste to configure and install. Hardware devices like firewalls and VPN concentrators require highly skilled and knowledgeable IT professionals to manage them. Microsoft thinks it has the cure for your desktop VPN blues — Direct Access in Windows 7 & 8 using Windows Server 2008 or 2012. Direct Access is a VPN connection for mobile devices like laptops and Windows 8 tablets that connects you to your company’s network anytime it senses you are out of the office and have an internet connection. The net effect of this automatic VPN for the person using the device is that they have the same experience connecting to their business network when they are in the office as they do when they are out. Direct Access can be set up on a device using group policy. The device connects to the network for the first time, downloads the settings, and the VPN is ready to go. The user of the computer just picks it up and walks out the door. They never had to install any software, they didn’t even have to call IT to come set up the VPN connection. Once the device has left the network, NAP or Network Access Protection can be set up to check the remote client while it is away and ensures that it has the latest configuration and that it is in compliance with security requirements such as having updated antivirus. Another exciting new feature of Direct Access in Windows 8 when connecting to Windows Server 2012 that I recently learned about is the ability to remotely provision or set up a new computer that has never been connected your corporate network. Let me spin a little tale for you. Imagine you run a small company in the Mountains of WV. Jane from your sales team takes a trip to France to meet with a new client. After she lands, she gets in a cab and heads to the hotel. When she arrives at the hotel, she realizes that she left her laptop in the cab. Thankfully you don’t allow any corporate data to be saved on devices like laptops, so all you have lost is the hardware. But Jane needs a new laptop for her presentation tomorrow. No worries. Send her out to get a new laptop from anywhere running Windows 8 Professional. All you have to do now is send her a provisioning package that she runs on the new laptop. The laptop will reboot and be joined to the domain, direct access set up, and she will have access to the company’s network and all the files she needs to nail her presentation. Server 2012 and Windows 8 open up a number of new possibilities for telecommuters and road warriors as well as ease the burden and complexity IT departments have to deal with, making them more efficient. It is time to start seriously looking at Windows 8 as a replacement for those old laptops and adding Server 2012 to your bag of tricks when it comes to managing the increasingly distributed world of business. The months of May and June seem to be conference season for nearly all of the major players in the world of technology. Cisco, Microsoft, and Apple are among some of the most notable companies who have recently had conferences for their communities of partners and developer. This past month, Apple had their week-long developer conference. The keynote for this conference always gives us a taste of the new things Apple has on the horizon — things like a new version of iOS for iPhones, iPods, and iPads that will be available in the fall. This usually kicks off a flurry of anticipation about the updated hardware for many of these devices that, like clockwork, can be expected to go along with the software release in the fall. Apple announced iOS 7 during their keynote speech. iOS 7 has a new set of flat looking icons and makes use of layers to give you a feeling of depth. These layers use the sensors in the phone to create in certain circumstances a 3D effect in the user interface. As you tilt the device, the items seem to float above their background. The new operating system promises a host of new features, but Apple only highlighted a few during the presentation. A new Control Center for quicker access to common functions and settings, improvements to multitasking, and updates to apps like Safari, Pictures, Camera, and Music are a few of the new features they did highlight. You can get a lot more info about these features and others at http://www.apple.com/ios/ios7/. I will also be writing about some of the features as I learn more about them, like new parental controls in Safari and enterprise single sign on. Mac OSX Mavericks, a new desktop operating system for the Mac desktops and laptops, was also announced with a host of new features like tagging, and multi-monitor support being extended to apple TV. The MacBook Air received a host of hardware upgrades, including a faster processor and faster hard drive storage. The theme of the day for hardware updates was certainly “faster.” We also got a video sneak peek at new Mac Pro desktops. The “tower” is a shiny black cylinder filled with lots of super-fast components. Faster flash based hard drives, faster RAM, a faster more efficient CPU, and 2 blazing fast graphics processors. It’s so fast it’s blowing my hair back as I tell you about it. Finally, Apple also talked about updates to their Airport wireless access points. The new access points support the new 802.11ac standard. The previous standard you may have seen on the boxes at your local BestBuy was N. This new standard standard is capable of 3x the speeds of N. One of the new Airports introduced also includes Time Capsule, which is Apple’s backup software, and up to 3TB of storage. For reference, that’s just over 6x the storage of a 500GB hard drive. Summer is full of conferences and release events. Keep your eye out for lots more from Apple, Microsoft, and other companies over the next few months. Earlier this month I felt like Carnac the Magnificent. We held another Office 365 Event, and in that event the question came up: “Can I use Office 365 on my iPad and iPhone?” My answer was “Yes, there are several apps that let you edit Office documents and other apps that let you sync files with Office 365 services like SharePoint and SkyDrive Pro.” I also said that I expected that very soon Microsoft would be releasing apps for the iOS devices, cue the Carnac moment. The very next day Microsoft released their new Office 365 app for iPhone. This native app connects to Office 365, allowing access to documents stored in Skydrive Pro and in Sharepoint. The app shows a list of recently opened documents in a single list from both Skydrive and Sharepoint. The really neat thing about this is that this isn’t just documents recently opened on the device, but from your laptop or desktop. The Office 365 app is able to view, edit, and create Word, Excel, and PowerPoint documents. Viewing these documents is great. Documents load quickly and navigation through the document is fluid and responsive. Editing and creating documents however is still a little weak. Word for example allows you to change font size and color though the colors are limited to 3 colors. You can bold, italicize, underline, strike through and highlight text. Again, the highlight colors available to you are limited. Editing and creating content in Excel and PowerPoint are also equally limited. While these limitations are very disheartening, I expect Microsoft will continue to improve and update the app to make it more powerful. You may have noticed that at the beginning of this article I said specifically that Microsoft released this app for iPhones. That is because there is not an app designed for the larger format iPad. The iPhone app, like any other app, will also run on the iPad in normal size or zoom mode. Microsoft however recommends using the Office 365 Web Apps in Safari on the iPad for editing and creating content. As part of their announcement, Microsoft also stated that enhancements have been made to the Office 365 web apps to better support Safari on iOS, giving iPad and iPhone users a better user experience. I am very excited about the iPhone Office 365 app despite its shortcomings. This app signals to me a move to deeper support for Apple mobile devices using Microsoft technologies than ever before. I love the Office 365 platform. The value Office 365 brings to businesses of all sizes is greatly enhanced by the ability to access, edit, and create documents and collaborate on more devices in more places whether you use the new iPhone app or the Office 365 Web Apps.